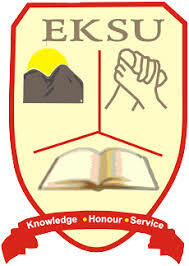 The Management of Ekiti State University, Ado-Ekiti has observed that there is a large number of uncollected Certificates of graduands from 1995 to 2016 sets. This is, therefore, to invite our graduands from 1995 to 2016 who are yet to collect their Certificates to report at the certificate Unit, Registrar’s office from Monday, 4th June, 2018 to collect their B.Sc., B.A., B.Ed., PG.D, M.Sc., Ph.D certificates. Time: 10 a.m. to 4p.m. daily. Venue: Room 2, Examinations and Records, Administrative Block. Payment of N25.000 into EKSU IGR Account Number (UBA) 2018375354. Please note that owners of these Certificates who fail to collect them on or before 30th June, 2018 will be surcharged.